Access our expert advice, consultancy and improvement support for all assistive technology related services across all sectors. Some of the services covered include telecare, telehealth, community equipment, wheelchair services, orthotics and prosthetics and electronic assistive technologies (e.g. AAC, environmental controls). 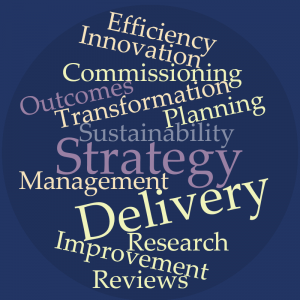 You can commission our experts to help you plan, commission, procure, research and evaluate services and help you deliver improved and sustainable outcomes to people who use services. Our consultancy and improvement services complement our training and our self-evaluation and continuous improvement tool iCOPS®. We can take you from having an idea through to post-implementation of services. Our experts have experience at working at all levels from managing services to advising governments. Where we use associates, these are highly regarded individuals within their areas of expertise. Please get in touch if you would like to discuss any of the services we offer.